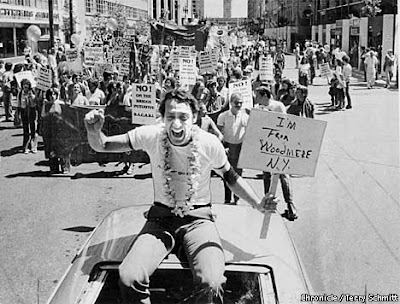 More than just the basis for a movie coming out called Milk, Harvey Milk was the first openly gay man elected as a public official in California, and unfortunately was assassinated in 1978. Hear from cast members of the upcoming film including screenwriter Dustin Lance Black, actors James Franco and Emile Hirsch, and NAMES Project AIDS Memorial quilt founder Cleve Jones. For great Irish food, one of my faves is Pig N’ Whistle in midtown. Serving traditional Irish fare like Steak and Kidney Pie as well as American. A great Irish pub in Hells Kitchen, The Irish Rogue has live music and sports playing on TVs, so you know this bar will be a party all day. If Irish food ain’t your thing, then head over to Island Burgers & Shakes as the menu is stacked two pages deep of some of the most intense burgers and chicken sandwiches on the island of Manhattan.